6 Months prior to the planned time that you wish to commence studies. ADB Scholarship or Asian Development Bank-Japan Scholarship Program was launched in the year 1988. The government of Japan finances the scholarship. The scholarship applies to all the participating academic institutions located in the Asian and Pacific Region. Every year around 300 students gets enrolled in participating academic institutions located in 10 countries within the region.On successful completion of the study programs, scholars are expected to contribute to the economic and social development of their country of origin. Duration of the Scholarship: The scholarship is for one year with an extension to the second year of study, as applicable. The maximum period of the scholarship award is two years for masters and doctorate programs. Only NATIONALS who belong to an ADB borrowing member Country are eligible for the scholarship programme. Candidate must be a graduate or its equivalent with the superior academic record and must have secured admission in an approved M.A./ Ph.D. course at an academic institution. At the time of applying candidate must have 2 years of full-time professional working experience. Candidate should not be more than 35 years old. For senior officials and managers, the age limit is 45 years. Executive Directors, Alternate Directors, management and staff of ADB, consultants, and relatives of the aforementioned are not eligible. 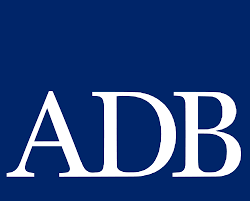 The ADB Bank provides full scholarships for one to two years. ADB-JSP provides funding for the scholar only and does not cover expenses for the scholar's spouse or other dependents. Step 2: The duly filled in Application Form along with the required documents, including the ADB-JSP Information Sheet form has to be submitted to an academic institution. The candidates can also download the ADP Bank Scholarship Application Form. The completed information sheet, together with all copies of academic records, should be sent to the institution, at least, six months before the start of the program that you wish to join. The academic institution will screen and rank the applicants on the basis of their own selection criteria, the eligibility requirements and selection criteria as prescribed by ADB. After the evaluation, the academic institution will submit its ranked list of applicants to ADB accompanied with the score/grading system which is the basis for the ranking. Thereafter ADB will review the applications received and recommend awardees to the Executive Director of Japan for formal approval. Upon approval, ADB will inform the Academic institutions about the successful candidates. The academic institutions will arrange for the signing of the Acceptance of Scholarship Award by the selected candidates wherein the scholars agree that after completion of their study, they will return to their home country. There is a two years employment restriction at the ADB Group after the completion of their academic program.